Auto loan insurance protection in the event you have your car totaled and the remaining loan amount is higher than the insurance payoff. GAP pays remaining loan balances not paid by your insurance in the event your car is stolen or totaled. Ask for GAP Insurance when applying for an auto loan with PECU. Pays a loan off in full up to $50,000 in the event that the borrower dies prior to age 70. Pays monthly disability payment up to $650 in the event the borrower is disabled prior to age 66. Protection in the event you are unable to perform the functions of your occupation, that are caused due to medical reasons or by becoming disabled due to an accident. PECU is very proud of our financial strength and stability. Each member’s deposits are federally insured up to $250,000. 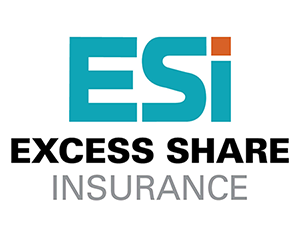 In addition, and at no cost to members, PECU purchases another $250,000 per member of supplemental deposit insurance through ESI (Excess Share Insurance Corporation). This means all PECU members have $500,000 of their deposits insured.